Fashion Virtual Worlds Article - Virtual Worlds Land! 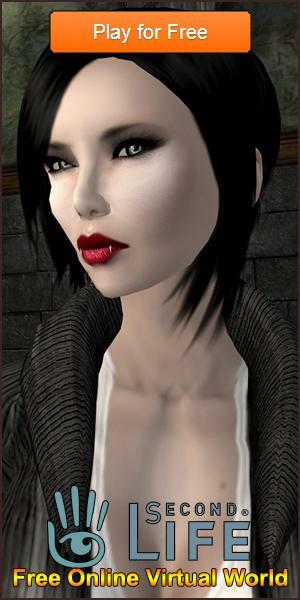 Rate this Article Fashion is a hugely popular area all over the world, and this is also reflected in virtual worlds too. How does this translate into these games, and what games really make the most of it? The world of fashion is one that touches almost everyone's life in some way, from the clothes we buy to what the stars wear. These trends have also translated into those online worlds that we play. But here in our virtual worlds there are some differences and in some ways much more freedom. In side of a virtual environment you can wear anything that you want, become any person that you wish and that freedom is amazing. There are clothes we may never dare to wear, or be able to afford outside of these games. For virtual currencies we can wear the very latest high fashions or make bold statements of our own. But it's not just what you wear, there are many places where you can be creative, and design and make your own clothes. Almost every world has some form of developer system for you to create anything. There are also some specialised fashion virtual worlds that focus solely on the design and modeling aspects. Being able to sell your clothes and designs or set the latest trend in the social hotspots is wonderful. Strutting down a catwalk in something never before seen or just that perfectly created look can be fun, especially when you get that positive feedback for your efforts. There are also a few games that specialise purely in fashion, and here we will give a brief overview of some of the best. This list is by no means comprehensive, but it will give you a taste of what you can achieve in fashion virtual worlds. Stardoll is a fabulous game dedicated to putting you at the top of the fashion industry. You can create your own lines of clothing, model the latest looks and live life in style with penthouse apartments and stunning shopping facilities. With everything covered from makeup to catwalk shows there is always something to do here. Enjoy GalaStories a world where you are running your own boutique. Create clothes to sell and find the latest and most beautiful fashions in over 50 stores. With a level of intrigue some games just can’t match with stunning 3D graphics and the chance to strut your stuff in amazing cityscapes. Fashion Designer allows you to create a series of outfits or your own designs. You can then put these up for others to see and rate or send clothes to your friends. With hundreds of wardrobe options and a great style about it this game has a lot to offer. While these games are dedicated purely to the fashion side of virtual worlds, in almost every other world you can find clothing stores, catwalks and places to show off you amazing styles. If you want to be creative you have the chance to do so or even make money selling your clothes. With the ability to change your whole look in minutes, as well as own those clothes you might not be able to outside of these fashion virtual worlds there is a really big appeal to them. While fashion may not be the only reason we stay in virtual worlds, it is one of the most stunning and rewarding aspects.